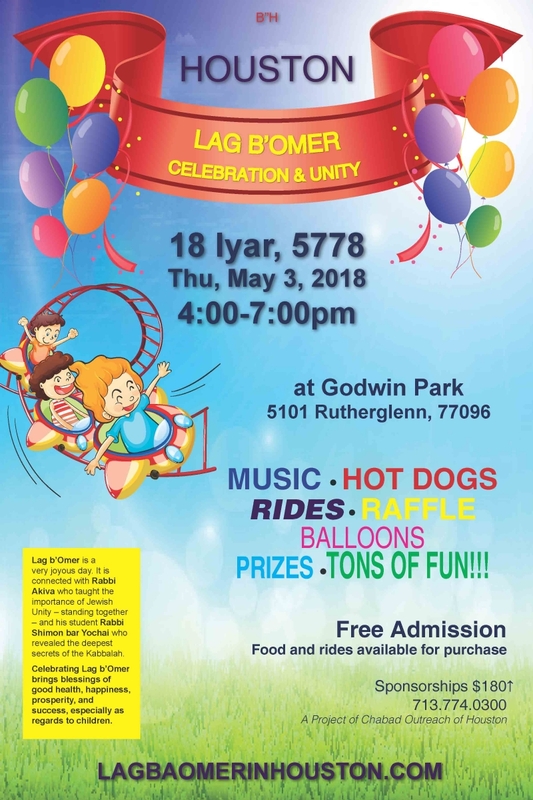 Celebrating Lag b’Omer brings blessings of good health, happiness, prosperity, and success, especially as regards to children. * Prize Raffle for children ages 3 - 13. Grand Prize Bike for ages 6-13. Only one entry per child. Must be present to win bike.